In preparation for school starting up again, I wanted to make some warm weather skirts that were also a modest length. 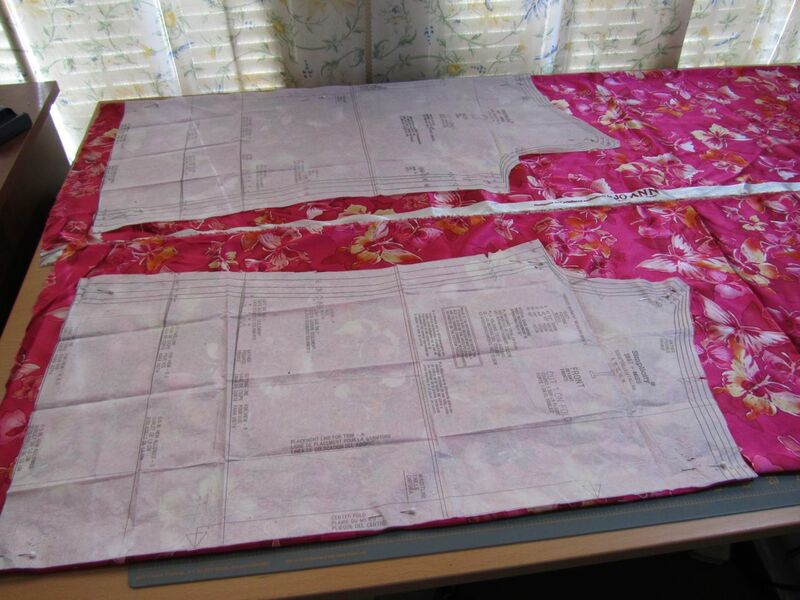 This skirt pattern involves a front and back panel that you sew up the sides. 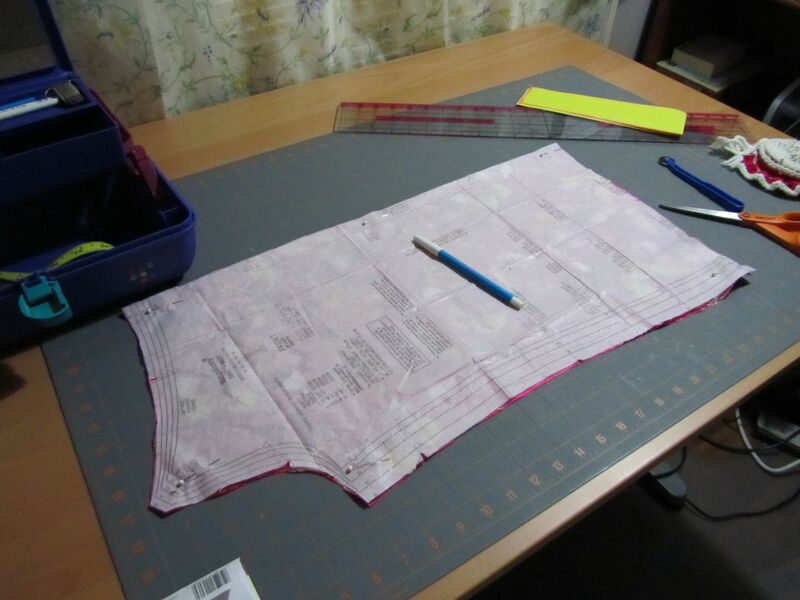 Using the amount of fabric prescribed by the pattern, I thought I’d try folding the fabric a different way so that I could cut out everything at once, instead of cutting two separate fabric pieces. I had wondered about the large amount of fabric that was required, and I noticed that I did have a lot of leftover fabric, but the pieces were here and there. 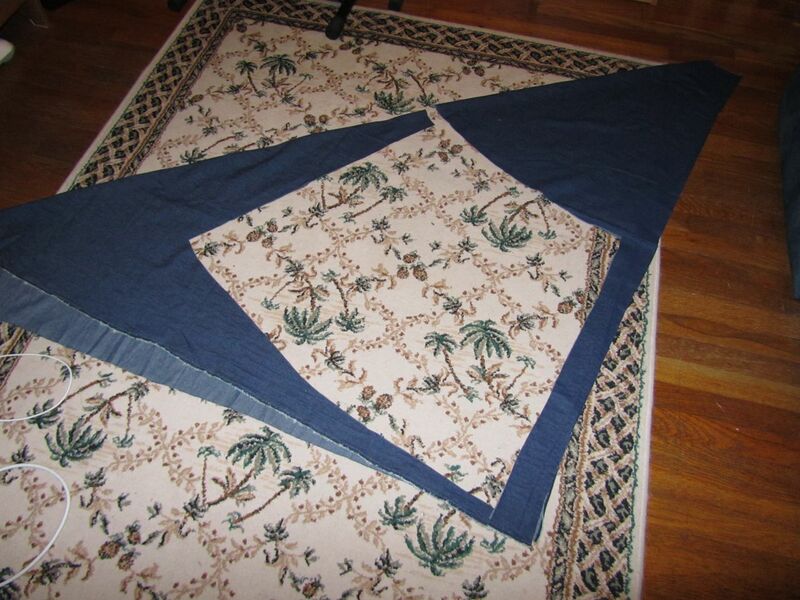 For the next skirt (I bought fabric in 3 shades), I tried folding the fabric a different way. 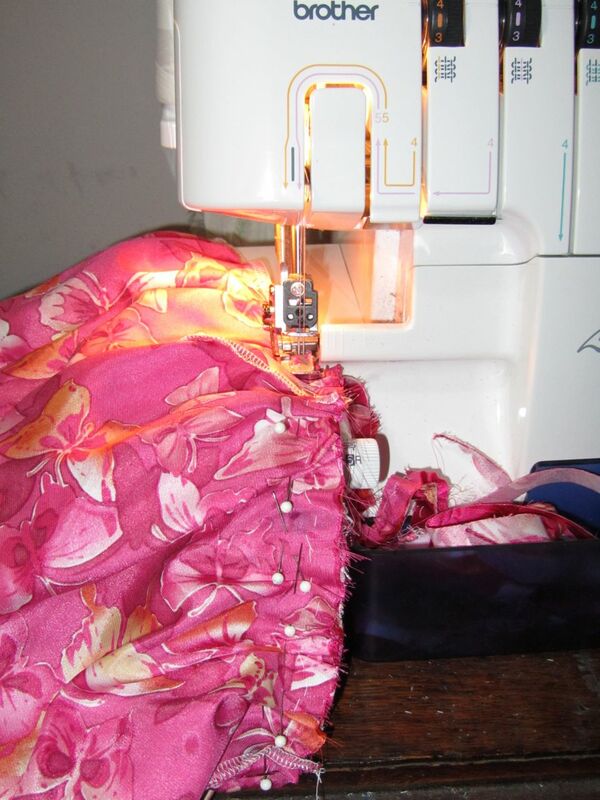 I was pleased to find out that I could make 2 skirts by folding the fabric with selvages matching. This is a baby quilt that I made with one of my quilting students. 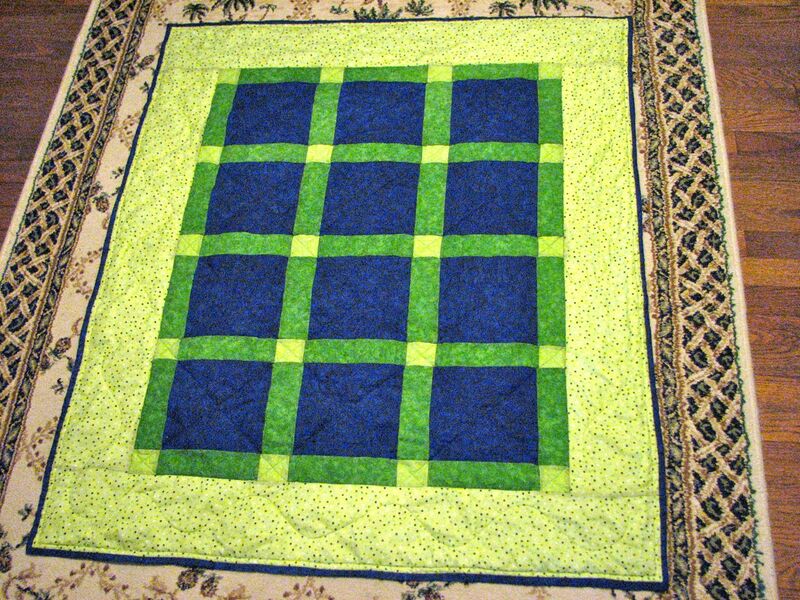 I love the blues, greens, and polka-dot border! 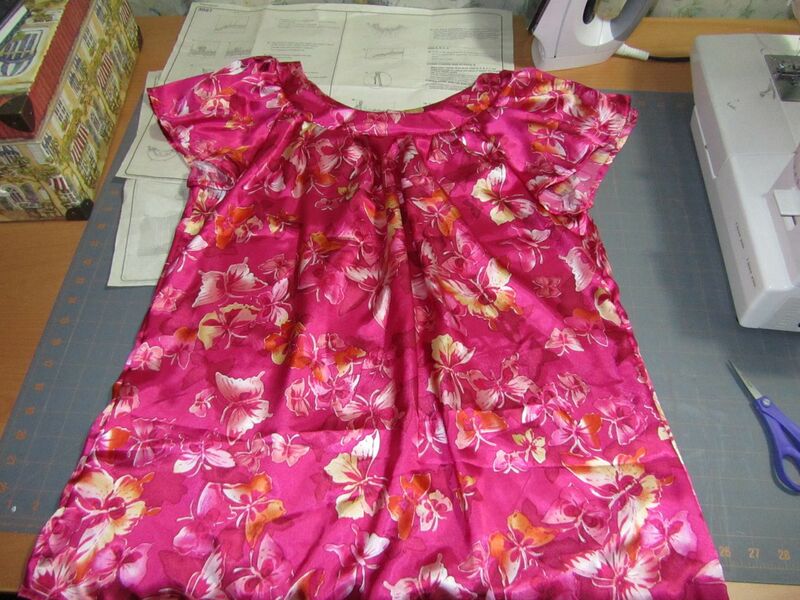 This is the blouse I blogged about on last week’s Sewing Saturday post. You can see that the sleeves are loose and flowing. In the past, I’ve put elastic in them. One thing I noticed about the loose sleeves is that, in order to remain modest, it’s necessary to wear an undershirt. I like the ones from DownEast Basics. Here it is with a belt I thrifted from Goodwill. I love that all of the grommets in the belt allow for different sizes and placements. 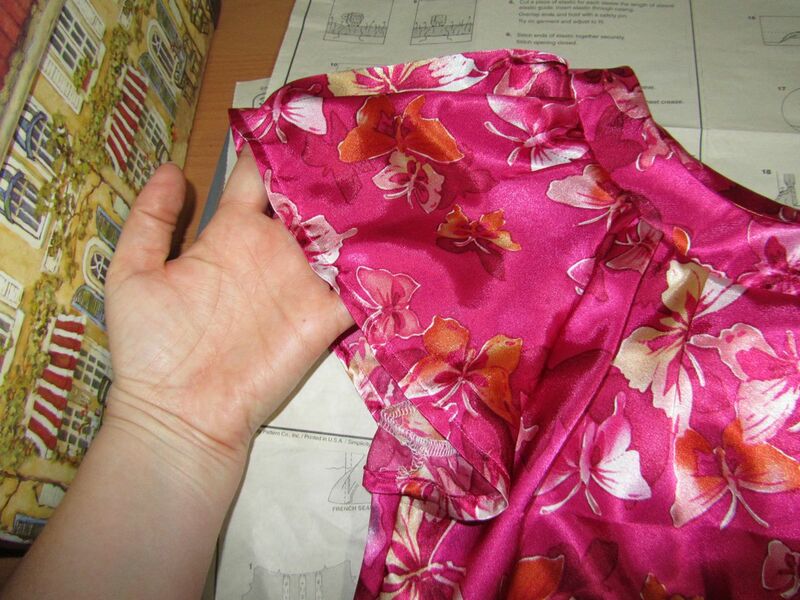 Here are some pictures of when I recently made a blouse out of a pink, silky print. I’ve used this pattern several times before. This time, instead of putting elastic in the cuffs of the sleeves, I decided to try the version on the pattern where the sleeves are loose. 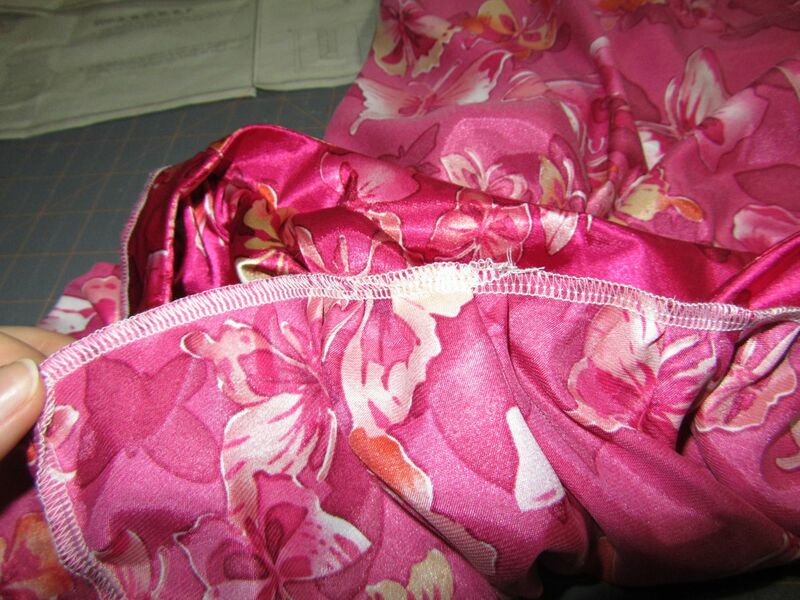 A lot of basting and pinning is required for the neckline. You need to baste the neck facing, gather the neckline, baste both of those together, etc. 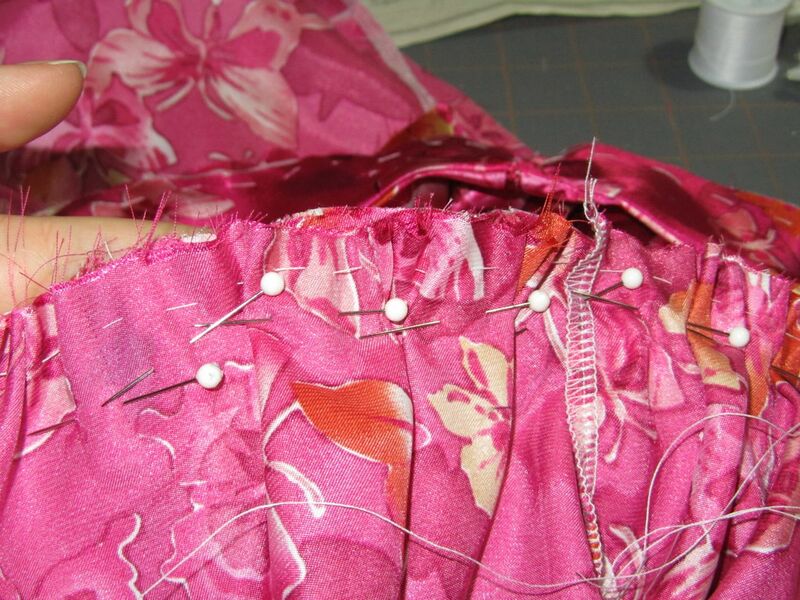 It takes a while, but I would much rather baste everything than have to take out stitches because things shifted during sewing. Serging the many basted layers. Here’s what the neckline looks like after basting. 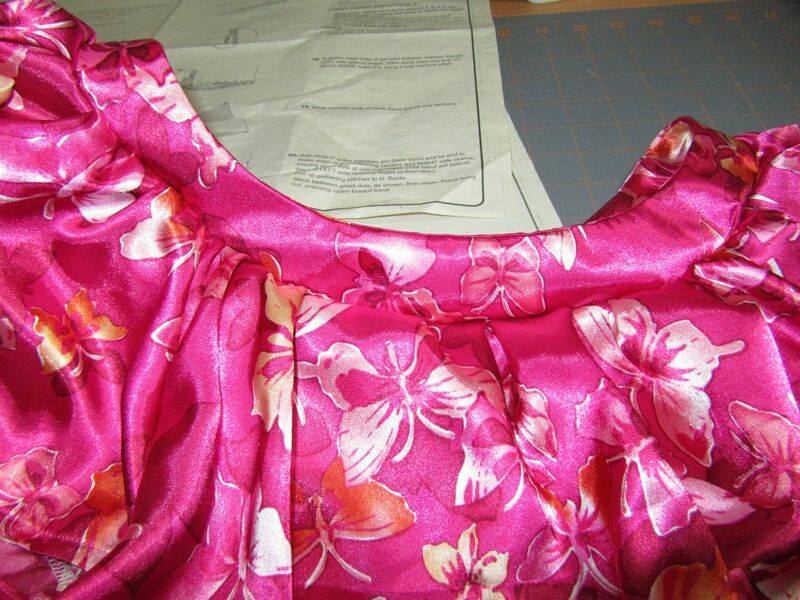 Here’s the outside view of the finished neckline. 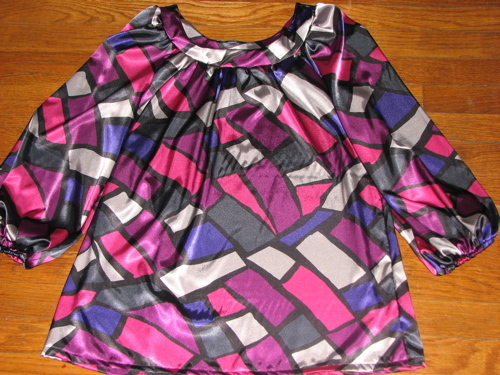 Stop by again next week for more pictures of this blouse! 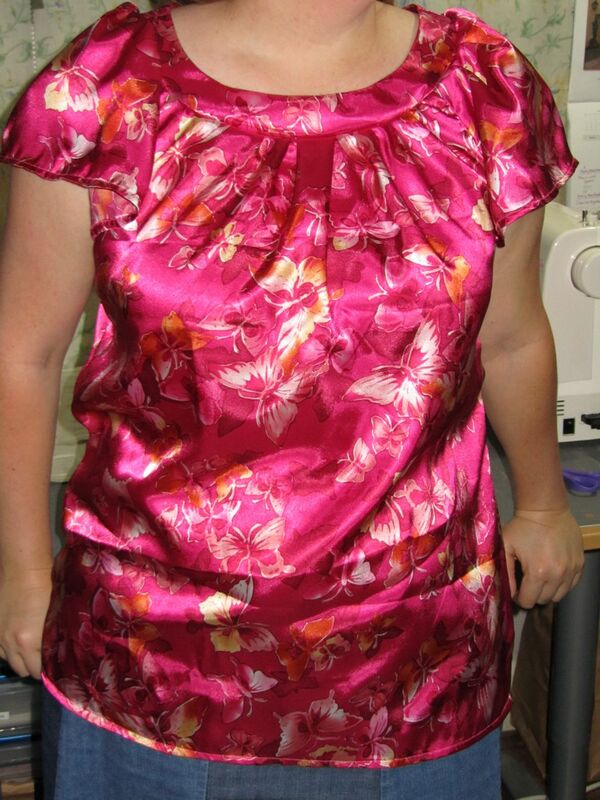 Here’s another blouse that I finished. I’ve pretty much got the process down, it’s just sitting down to work on them. 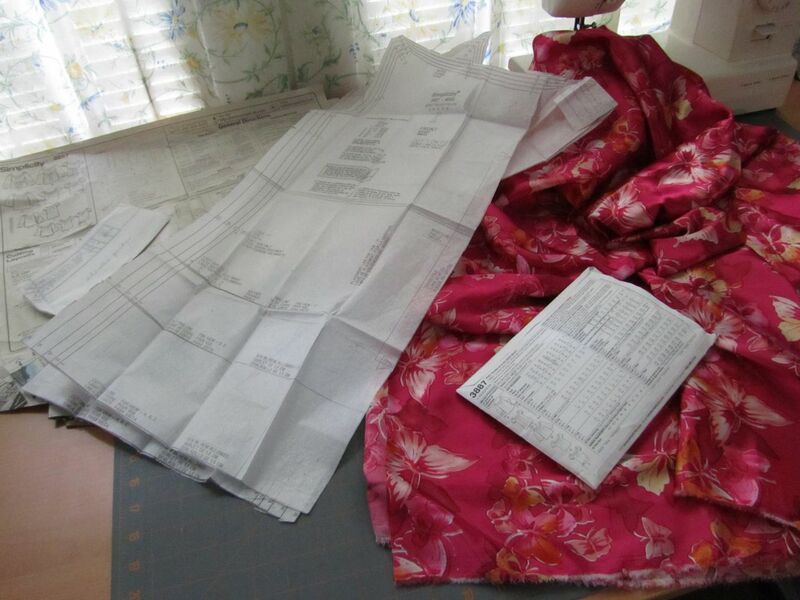 After this, I’m in the finish lane with another blouse and then I switch the thread on my sewing machine from black to blue for two more blouses. I finished another blouse today. That makes 5 done and 3 to go. 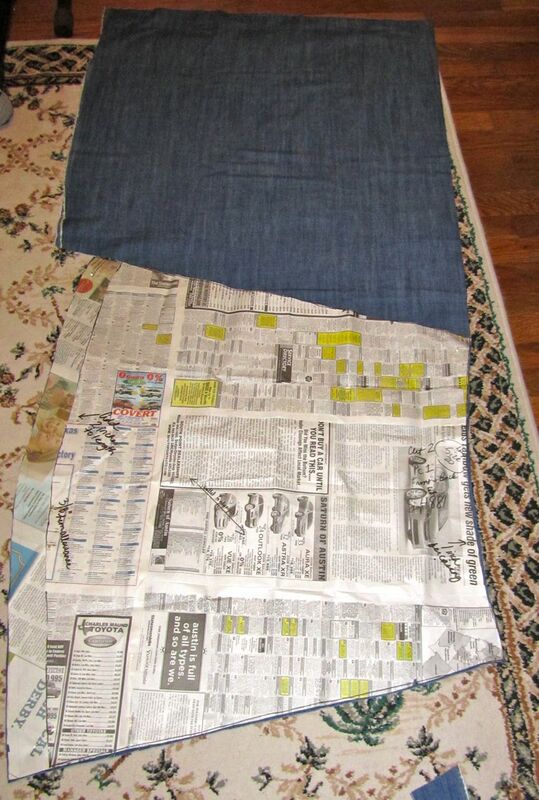 I also need to make several pairs of long pants. I think I have 5 to go. 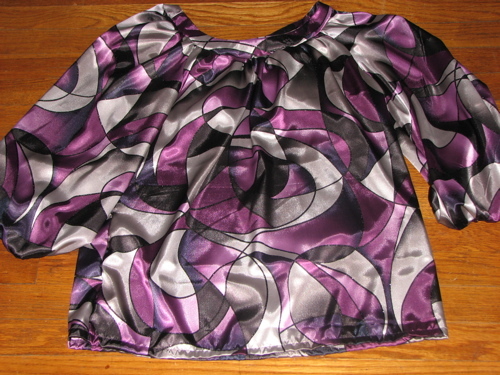 Here’s a picture of one of the blouses I finished this weekend.